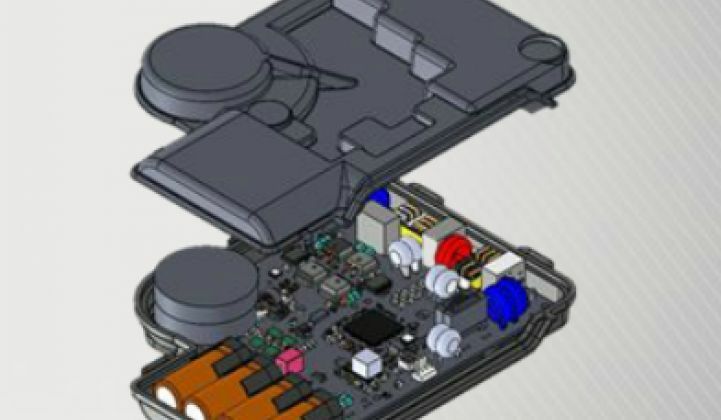 Can the microinverter pioneer pivot to a 10-cents-per-watt low-cost solution? It's been a tough year for microinverter pioneer Enphase Energy. The company's stock is below the Mendoza line. The firm has a market cap of $95 million, and its market share is threatened by SolarEdge's optimizer product. Enphase had to lay off 7 percent of its staff earlier this month in a realignment. Yesterday was analyst day for Enphase, and the event comes shortly after the firm reported an expected revenue of $102.9 million for its third quarter. But Enphase's guidance for the fourth quarter was significantly below expectations at $62 million to $70 million -- and its stock has suffered. Enphase made a case for its market competitiveness to a room full of financial analysts eager for news of cost-reduction details and a second act. 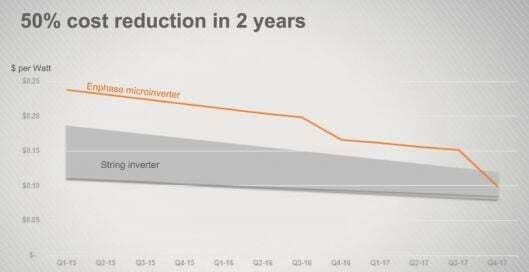 CEO Paul Nahi said the company would scrub out 50 percent of the device's cost in two years and reach parity with string inverters at 10 cents per watt. Nahi acknowledged that the time when customers would pay a significant premium for the Enphase solution has already passed. He added that the company must also move toward the larger energy market and provide complete energy systems for businesses and homeowners. He said that by addressing price in this aggressive environment, "Our share will continue to grow domestically and internationally." Nahi said that Enphase is already gaining business with aggressive pricing applied in a "surgical" fashion -- but that lower pricing would become widespread in 2016. Enphase co-founder and CTO Martin Fornage spoke of the ongoing "fundamental research" and innovation going on at the firm. On an overarching basis, Fornage says he believes that distributed architecture and digital controls will win. Fornage offered some details on how the company will attempt to drive down cost. Enphase's next-generation products will continue to integrate more functions into the application-specific integrated circuit (ASIC) and reduce part count. The company is moving to a lighter-weight polymeric enclosure that reduces grounding requirements and allows for a greater "freedom of design." He said the material allowed for the "lowest transformation cost" while solving some thermal and balance-of-system issues. The next-generation product employing these changes will hit the market late next year. 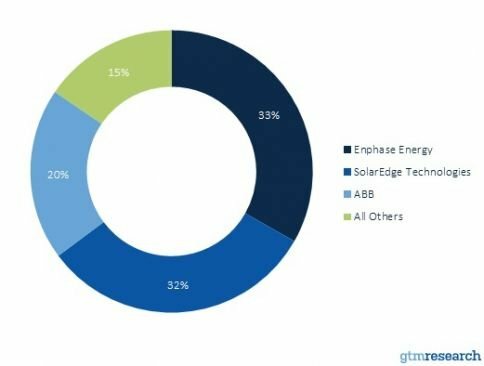 Stefan Zschiegner, the firm's VP of product management, said that the Enphase-SolarWorld integrated AC module has the potential to save up to 7 cents per watt across the value chain. Greg Steele, VP of engineering, noted that silicon integration with ASICs from TSMC's 55-nanometer technology will result in the removal of 150 parts from the microinverter with help from Enphase's 30-person ASIC team. Steele pointed out that the device already operates at a higher frequency, with more optimized magnetics than many competing products. VP of strategy and co-founder Raghu Belur described the company's efforts to broaden its offering to include its AC battery and home energy management system. He suggested that installers may be able to raise their revenue per home from $1,000 to $6,000 with the Enphase system and "one-stop shop." Enphase is at a crossroads. The company was the trailblazer in the module-level power electronics market -- but, as a colleague suggested, Enphase "took its eye off the ball" in regards to cost savings. 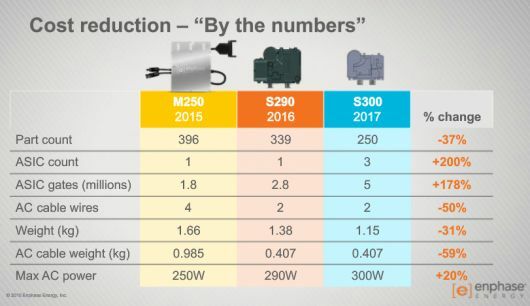 Enphase has now given itself a harrowing product-development cycle and cost-reduction plan which have to get done, on time and to spec, in order to maintain the company's market viability. Over the last decade, Enphase has executed well on its market and product strategy. But Enphase is now in for its biggest test in its history as a public company.